We woke to clear skies but much colder temperatures on Saturday morning. 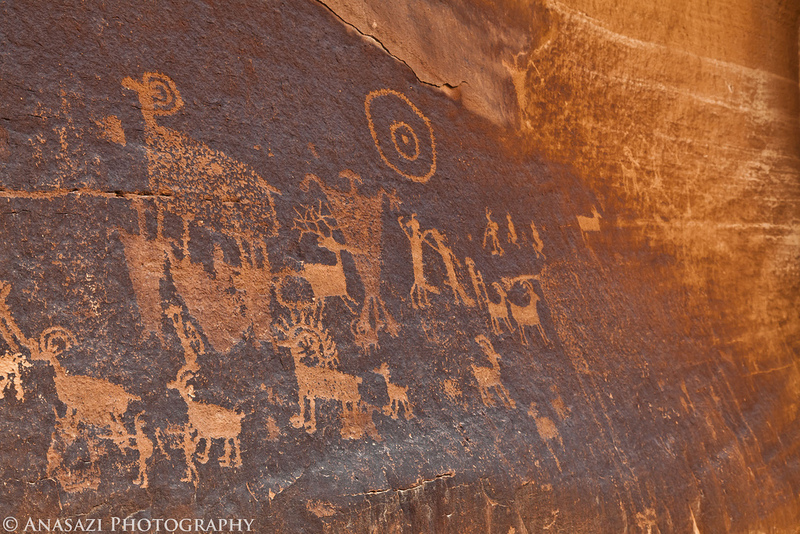 I still wasn’t feeling too good this morning so we decided to visit the rock art along the Hidden Valley Trail. This particular hike is not too long and very close to town, plus I’d already hiked it a few times in the past and Diane was interested in visiting some new rock art this weekend. I also knew that this trail wouldn’t be too difficult with the fresh snow on the ground as long as we had our microspikes with us. On Saturday, Marty and I set out to hike the Hidden Valley and Moab Rim Loop. We had both hiked Hidden Valley before, and driven the Moab Rim trail in our Jeeps, but we both had wanted to hike the whole loop in one shot. Not only so we could enjoy the scenery on a nice winter day, but also so that we could revisit some rock art sites and hopefully find some new ones. 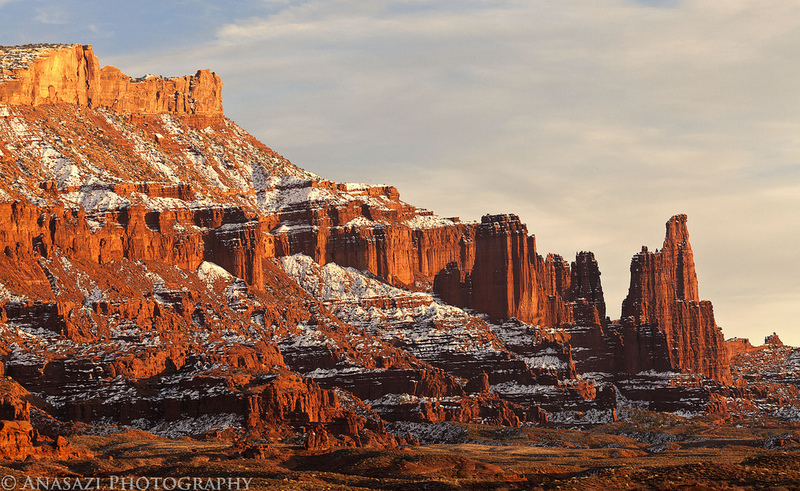 On Sunday the weather forecast called for 60% chance of snow in Moab. Grand Junction and Moab had the same forecast on Saturday as well, so I figured they would be wrong again and I made my way over to Moab. It was a good decision because it turned out to be a perfect day for hiking! I’m glad I didn’t stay home. My destination for the day was to hike the Hidden Valley trail into the Behind the Rocks area to find some petroglyphs. This trail has been on my to-do list for a while, and now I regret not hiking it sooner. 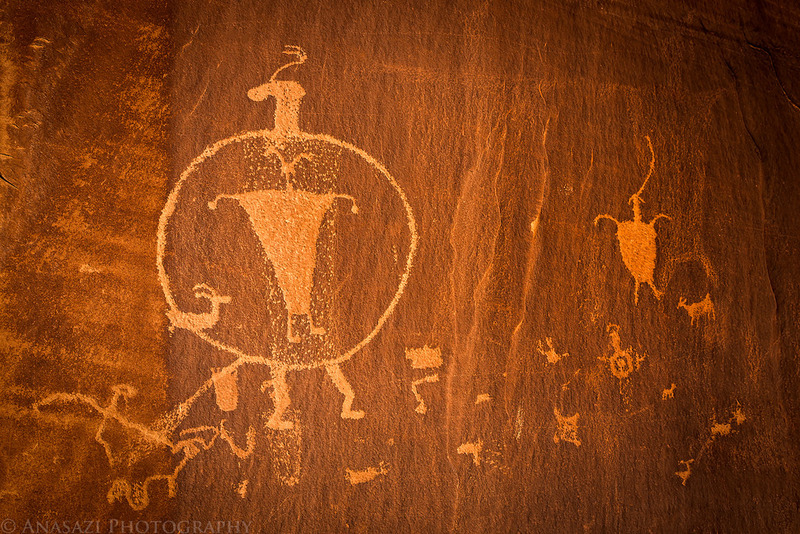 Besides being a nice hike, there were a bunch of petroglyphs to be found.